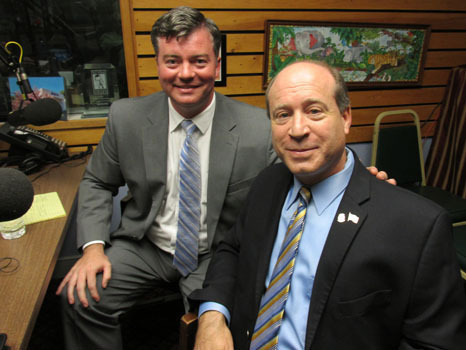 Attorney General candidate Warren Tolman and State Representative Jim Cantwell are guests on this episode of Monday Night Talk! Warren calls in to talk with host Kevin Tocci and Rep Cantwell about his campaign to be Massachusetts next Attorney General. Jim also takes a moment to endorse Mr. Tolman's campaign and also closes out the segment discussing his own bif to be re-elected. 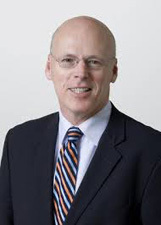 To find more about Warren's campaign, visit his website; www.warrentolman.com. Do you have an topic for a future show or info on an upcoming community event? Email us at mondaynighttalk@gmail.com or "like" and post a comment on our Facebook page: www.facebook.com/mondaynighttalkon959fmwatd. If you're a fan of the show and enjoy our segments, you can either download your favorite segment from this site or subscribe to our podcasts through iTunes today! 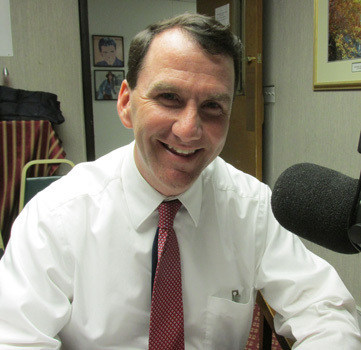 State Representative Jim Cantwell is a guest during this segment of Monday Night Talk! 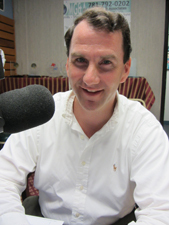 Rep. Cantwell, who stops in to do the State House Report, discusses the work that was accomplished during the last legislative session and shares insight to some of the bills and amendments that he championed on behalf of his district and the commonwealth. Do you have an topic for a future show or info on an upcoming community event? Email us at mondaynighttalk@gmail.com or "like" and post a comment on our Facebook page: www.facebook.com/mondaynighttalkon959fmwatd If you're a fan of the show and enjoy our segments, you can either download your favorite segment from this site or subscribe to our podcasts through iTunes today! 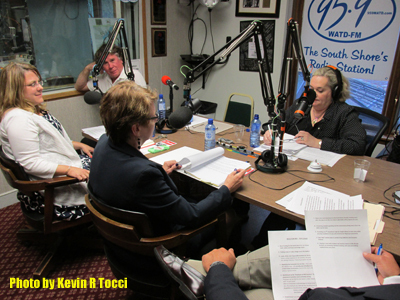 Monday Night Talk hosts a political forum for the Massachusetts 9th Congressional District race. 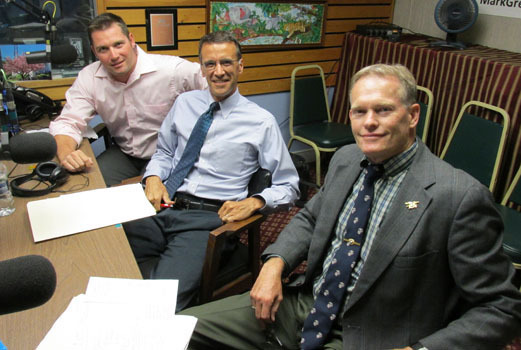 Republican candidates Mark Alliegro, John Chapman, Vince Cogliano and Dan Shores participated in the one hour forum. The event was moderated by WATD’s managing news editor Christine James with questions being asked by Monday Night Talk host Kevin Tocci and WATD reporter Charles Matthewson. Do you have an topic for a future show or info on an upcoming community event? Email us at mondaynighttalk@gmail.com or "like" and post a comment on our Facebook page: www.facebook.com/mondaynighttalkon959fmwatd. If you're a fan of the show and enjoy our segments, you can either download your favorite segment from this site or subscribe to our podcasts through iTunes today! Jeni Mather is a special guest on this episode of Monday Night Talk! 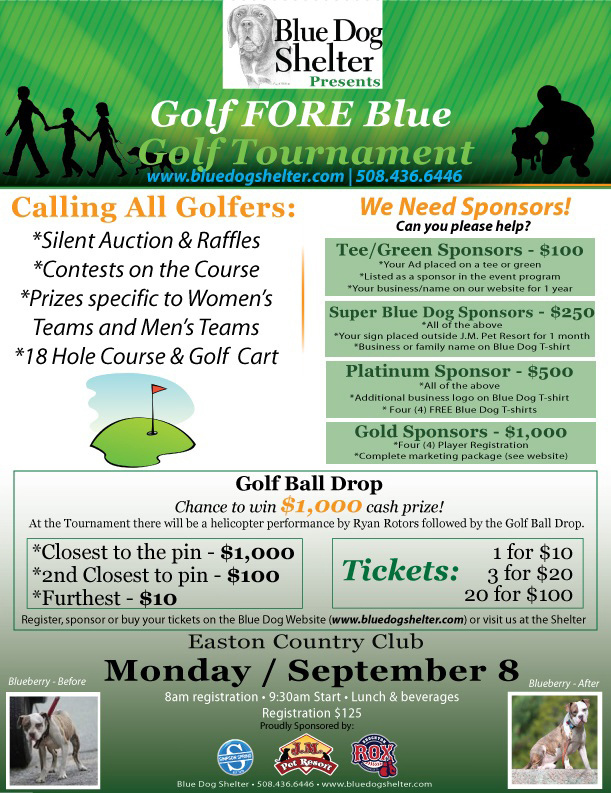 Jeni, who is the founder and director of Blue Dog Shelter calls into the show to provide history on the organization and also provide information on their upcoming fundraiser at the Easton Country Club on September 8. For more information about the shelter or the event, please visit their website; www.bluedogshelter.com. Do you have an topic for a future show or info on an upcoming community event? Email us at mondaynighttalk@gmail.com or "like" and post a comment on our Facebook page: www.facebook.com/mondaynighttalkon959fmwatd. If you're a fan of the show and enjoy our segments, you can either download your favorite segment from this site or subscribe to our podcasts through iTunes today! 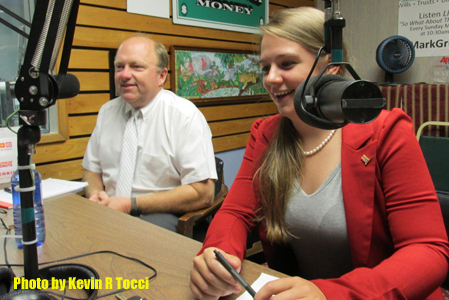 Monday Night Talk hosts a political forum for the 10th Plymouth District State Representative's seat that was held Monday, August 18 featuring Republican candidates John Cruz and Colleen Maloney. The event was moderated by WATD’s managing news editor Christine James with questions being asked by Kevin Tocci and Charles Matthewson. Do you have an topic for a future show or info on an upcoming community event? Email us at mondaynighttalk@gmail.com or "like" and post a comment on our Facebook page: www.facebook.com/mondaynighttalkon959fmwatd. If you're a fan of the show and enjoy our segments, you can either download your favorite segment from this site or subscribe to our podcasts through iTunes today! 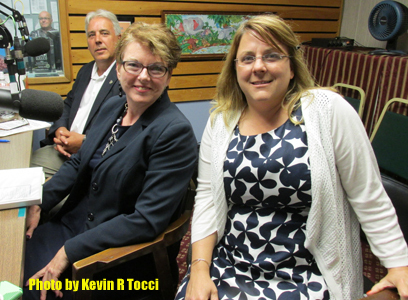 Monday Night Talk hosts a political forum for the 10th Plymouth District State Representative's seat that was held Monday, August 18 featuring Democratic candidates Paul Beckner, Peggy Curtis and Michelle Dubois. The event was moderated by WATD’s managing news editor Christine James with questions being asked by Kevin Tocci and Charles Matthewson. Do you have an topic for a future show or info on an upcoming community event? Email us at mondaynighttalk@gmail.com or "like" and post a comment on our Facebook page: www.facebook.com/mondaynighttalkon959fmwatd. If you're a fan of the show and enjoy our segments, you can either download your favorite segment from this site or subscribe to our podcasts through iTunes today! Monday Night Talk hosts the Register of Probate political forum that was held Monday, August 11 featuring Democratic candidates Mark Linde and Matt McDonough. The event was moderated by WATD’s managing news editor Christine James with questions being asked by Kevin Tocci and Charles Matthewson. Do you have an topic for a future show or info on an upcoming community event? Email us at mondaynighttalk@gmail.com or "like" and post a comment on our Facebook page: www.facebook.com/mondaynighttalkon959fmwatd. If you're a fan of the show and enjoy our segments, you can either download your favorite segment from this site or subscribe to our podcasts through iTunes today! 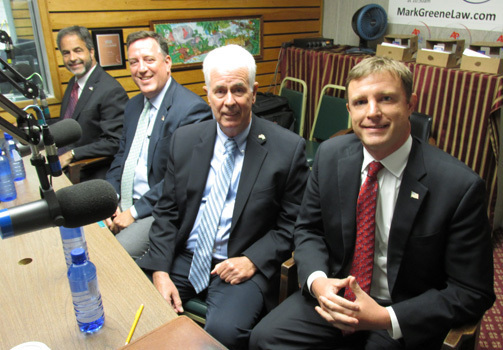 Monday Night Talk hosts the Register of Probate political forum that was held Monday, August 11 featuring Republican candidates Andrew Burbine, Anthony O’Brien Sr. and Joseph Truschelli. The event was moderated by WATD’s managing news editor Christine James with questions being asked by Kevin Tocci and Charles Matthewson. Do you have an topic for a future show or info on an upcoming community event? Email us at mondaynighttalk@gmail.com or "like" and post a comment on our Facebook page: www.facebook.com/mondaynighttalkon959fmwatd. If you're a fan of the show and enjoy our segments, you can either download your favorite segment from this site or subscribe to our podcasts through iTunes today! 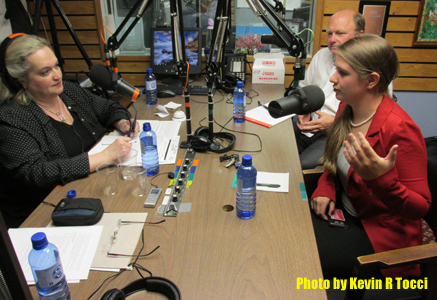 State Representative Shaunna O'Connell is a guest during this episode of Monday Night Talk! 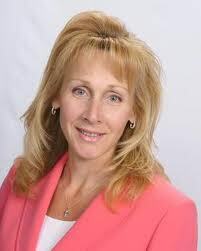 Rep O'Connell calls in to share her thoughts on the past legislative session regarding some of the successful bills that were filed, the tax increases that were passed and what she'd like to do if she's re-elected in November. To follow what Rep O'Connell is working on, visit her website; www.shaunnaoconnell.com. Do you have an topic for a future show or info on an upcoming community event? Email us at mondaynighttalk@gmail.com or "like" and post a comment on our Facebook page: www.facebook.com/mondaynighttalkon959fmwatd. If you're a fan of the show and enjoy our segments, you can either download your favorite segment from this site or subscribe to our podcasts through iTunes today! 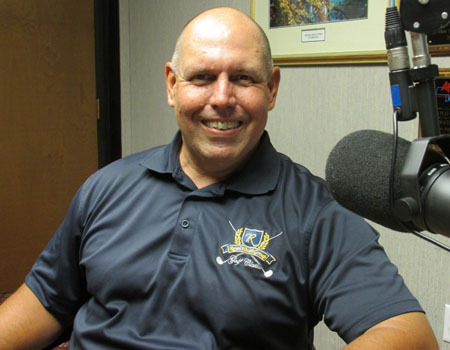 Lou Silva is a guest on Monday Night Talk! Lou, who is with East Coast Printing stops in to talk about the numerous services his company offers besides printing like signs, banners, promotional items, mailings and much more, To find out more about East Coast Printing, visit them online at www.eastcoastpress.com. Do you have an topic for a future show or info on an upcoming community event? Email us at mondaynighttalk@gmail.com or "like" and post a comment on our Facebook page: www.facebook.com/mondaynighttalkon959fmwatd. If you're a fan of the show and enjoy our segments, you can either download your favorite segment from this site or subscribe to our podcasts through iTunes today!